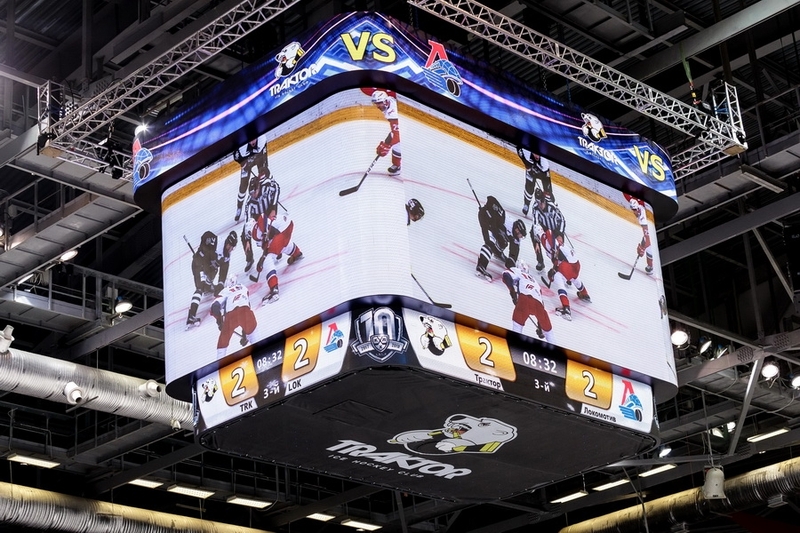 Traktor Ice Arena, the home venue for KHL club HC Traktor Chelyabinsk, has received the KHL’s largest 4K center hung video board featuring 6 mm LED display technology that was designed, manufactured and installed by Colosseo. This coincide with the club’s 70 year anniversary on December 27th and thanks to Colosseo’s unique installation methodology and product components, installation lasted only 7 days. Colosseo also managed to complete the installation without the fans noticing the upcoming changes right up until the first game. 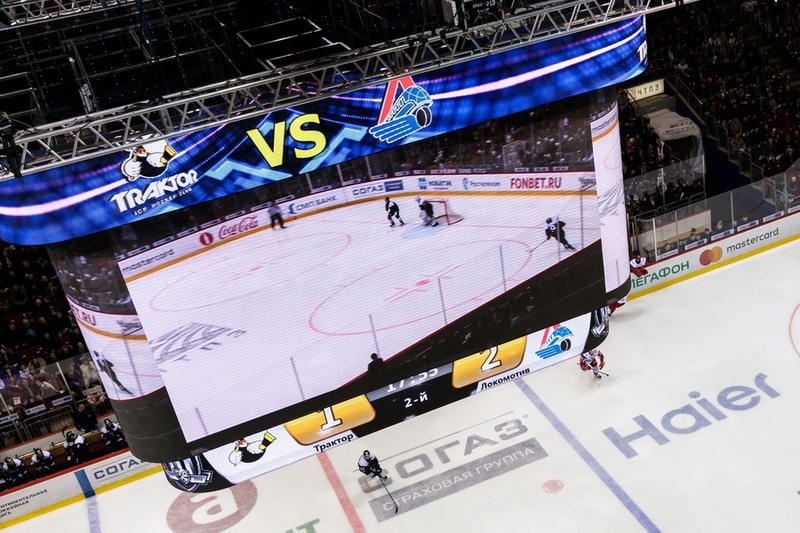 The center-hung LED display features a unique rectangle shape – first of its kind in KHL – and offers more than 140 sq. 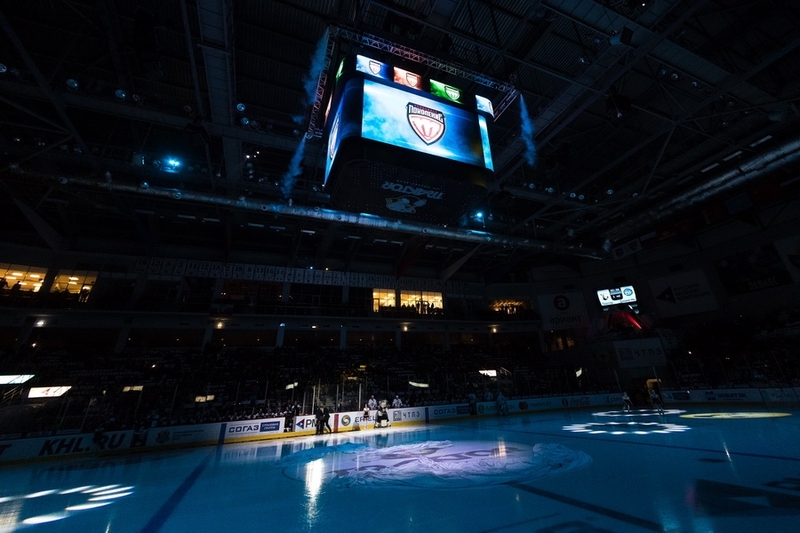 meters of active LED area, using the latest 6 mm line spacing LED technology, offering 4K resolution for the whole canvas and full freedom for game presentation, scoring, timekeeping & statistics while providing sponsors with even greater ad visibility. 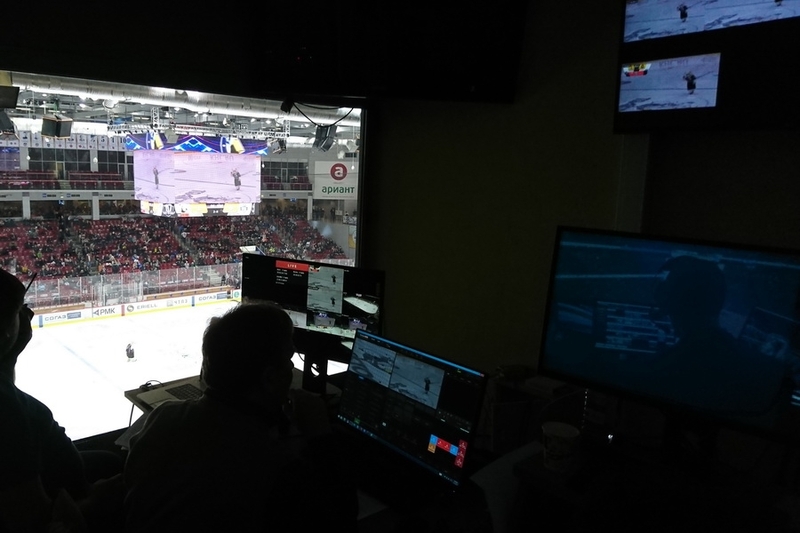 The center hung is controlled by Colosseo’s market leading solution Single Media Platform (SMP), able to control the center hung video board as one large digital canvas or divided into multiple zones capable of delivering various content for the zones or creating a one canvas moment of exclusivity. 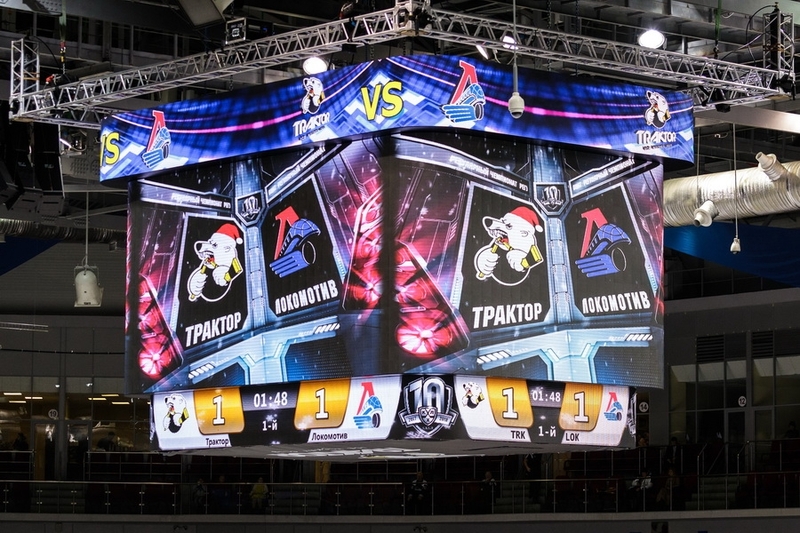 Thanks to Colosseo SMP, the fans of Tractor Chelyabinsk now enjoy a spectacular and attractive game presentation show with customized animated graphics with instant replays and highlights, shown on a giant 4K resolution seamless canvas. 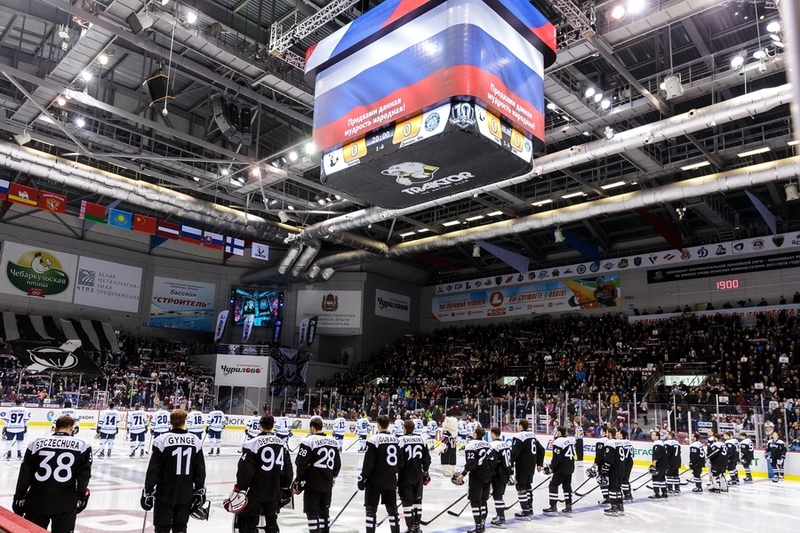 The SMP also took control over two existing LED displays in the arena. 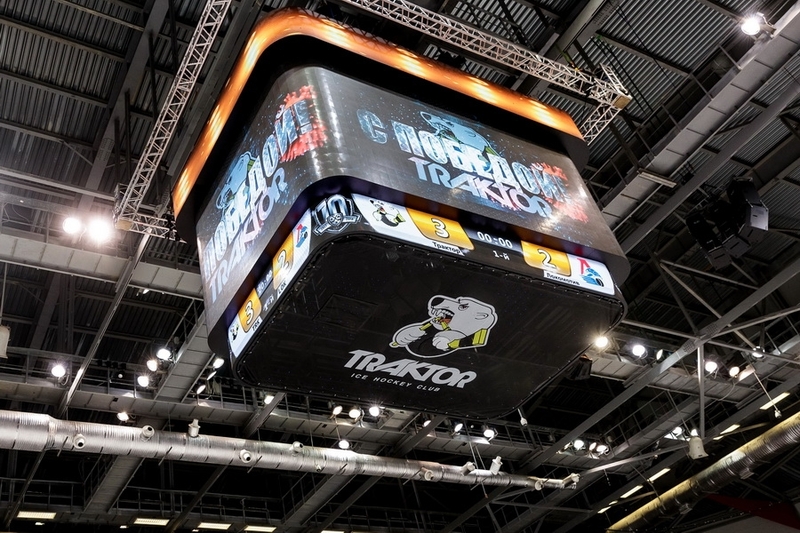 Traktor Ice Arena has also become the eighth KHL venue equipped with the proven Colosseo Video Goal Judge solution for quick solving of any disputable moments that occur in the goalmouth or at ice level, using the latest technology for video analysis – awarded several times by IIHF and KHL officials. 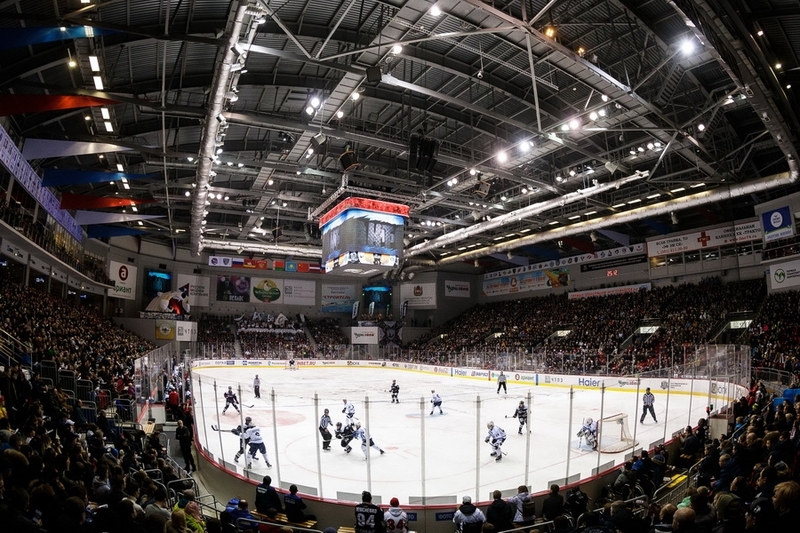 The installation in Chelyabinsk proves Colosseo’s leading position on the market within the major KHL venues, having already delivered its complete turnkey solution in Arena Metallurg in Magnitogorsk, Ice Palace in St. Petersburg, VTB Ice Palace in Moscow, Barys Arena in Astana and Nepela Arena in Bratislava, and bringing new game experience and positive feedback from these clubs and their fans bases.